The Honda City was introduced in the Indian market in the year 1998 which was then in the third generation of production worldwide. Known as the type – 2 City in the Indian market, the car has become immensely popular amongst Indian tuners because of its availability till this date. 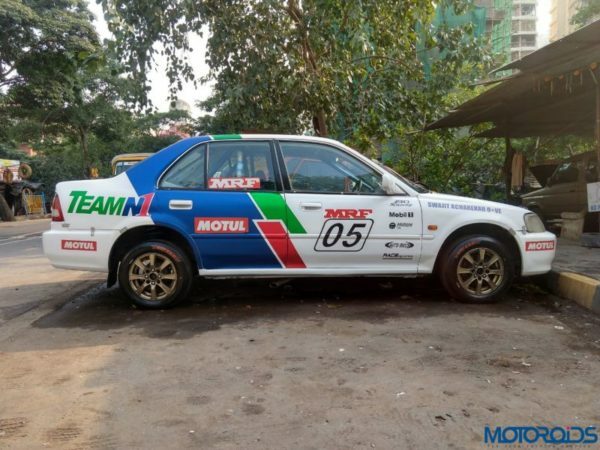 Today we would like to showcase one such Honda City, a 2002 model, owned by fellow petrolhead Swajit Acharekar who races for Team N1. 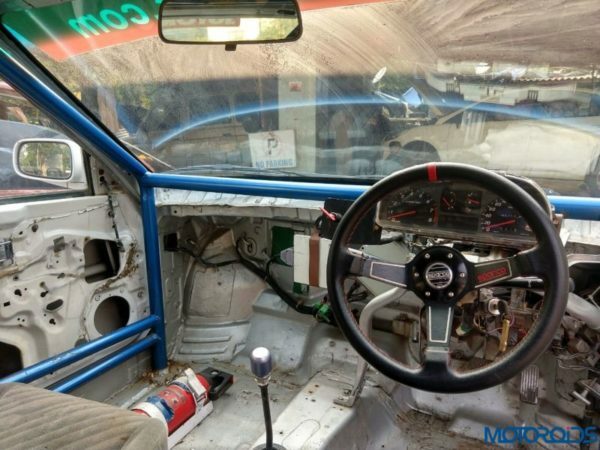 This Honda City has been given a strict diet, which is quite evident in the pictures you will see below and now weighs a mere 958 kilograms with the driver seated inside. The car may still have a registration number on but the owner now uses it only for racing on a closed race track. On the outside, the car looks just like any other City which has been modified, once you take a closer look is when you ask yourself, is this car even road legal? 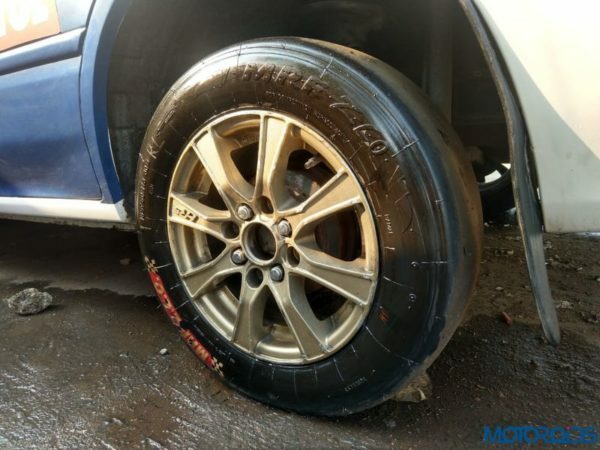 The car runs on sticky slick tyres which are of the original size the car initially came with, the bonnet and boot have been replaced with lightweight fibre pieces and gone are the locking mechanisms of both of those and clips hold them in place. The rims are from HRS and every sticker found on the car represents a performance part fitted inside the car. On the inside, every bit and piece of the interior has been removed, the door panels, the carpet, the dashboard and even the centre console to save weight. The driver seat welcomes you with a Sparco racing seat with a Sparco 6-point harness surrounded in an FIA approved roll cage to protect the driver. There is a stock passenger seat present as well which is removed during because of weight saving bro! The driver faces the remains of the original instrument panel and a master switch which turns the Racing Dynamics ECU on or off. To help with performance during a race, the car uses a Cusco limited slip differential, a BC Racing suspension set-up which can be adjusted in 32 different ways and runs on 97 octane petrol. The engine pretty much is still the same 1.5-litre 4-cylinder unit but that is where the similarities end, there is now a cold air intake, iridium spark plugs and a straight pipe exhaust system which gives the car a power output of about 178 bhp at the crank. The car with all its modifications does a quarter mile run in less about 14.5 seconds, which could be more or less depending on the condition of the track. Proving its prowess on the tracks, this car won the national drag championship in 2017 and also came first in a round of a circuit race in the same year. Here are some pictures of the car for you to see, do share your thoughts on the car in the comments. Want us to feature your modified car? Send us a list of modifications done along with pictures at feedback@motoroids.com or our facebook page inbox.